Maree and Anne will present several play parties for participants to sing and dance or “play.” This tradition, which began in the U.S. in the 1830s, provides a wonderful way to bring people of all ages together. The songs will be drawn from the 50 play parties that are available at the website of American Folk Song Collection (www.kodaly.hnu.edu), a free and unique website that contains over 600 songs. 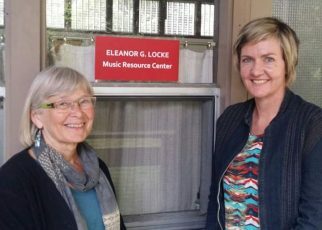 Maree Hennessy is Director of the Kodály Center for Music Education at Holy Names University and Anne Laskey is one of the creators of the AFSC website.